14 November 2013 – Chicago, IL. Do you want to write your family history in a compelling format to share with family and friends, but having trouble getting started? Perhaps you need inspiration as to format or you just want to build your writing skills. And what’s up with Microsoft Word? Are you frustrated with getting Word to work with you instead of against you? You’ll learn tips, tricks, ideas as well as Word survival skills in the upcoming Genealogy Writing Boot Camp. 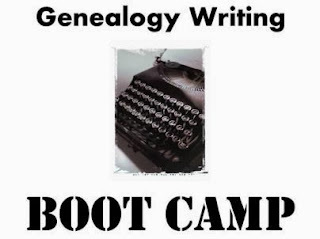 What Is Genealogy Writing Boot Camp? Back to Basics: Craft a Compelling Family History Narrative from Start to Finish presented by Lisa A. Alzo, a well-known genealogy educator and author with an M.F.A. in Nonfiction Writing. 10 Secrets You Should Know to Survive Microsoft Word presented by Thomas MacEntee, who taught Microsoft Office classes in the corporate world for over 10 years before bringing his teaching and technical skills to the genealogy industry. What will you find at a typical Hack Genealogy Boot Camp event? Live webinars with extended Q&A periods. Lunch period “online chats” where participants can exchange ideas about what they’ve learned. Easy-to-read handouts that are ready for you to use at home. Freebies from presenters including cheat sheets and hand out extras! Access to recordings for up to one (1) year! There are many options when it comes to online genealogy and family history education. Free webinars are great, but some can have limitations when it comes to accessing recordings afterwards and require you to purchase a subscription or membership. Paid options exist but their pricing may be out of your reach. Hack Genealogy Boot Camp events will always be reasonably priced: from $6.95 for a single webinar up to $29.95 for a full day online event. And there are often early bird coupons and discounts! Offerings are priced to secure the best instructors for the topic and allow them to be fairly compensated and you still get access to great content. The best way to stay in touch is to add the Hack Genealogy Blog to your RSS feed reader or save the link to your favorites. Also sign up for our periodical emails listing upcoming Boot Camp events as well as the latest tech news in the genealogy world! Click here to sign up now and you can unsubscribe at any time! Also visit Hack Genealogy at http://www.hackgenealogy.com for more information or email hackgenealogy@gmail.com with your questions. Hack Genealogy (http://hackgenealogy.com) is a technology resource for the genealogy community with a focus on “repurposing today's technology for tomorrow's genealogy.” Thomas MacEntee is the driving force between Hack Genealogy whose goal is to provide information on emerging technology inside and outside the genealogy industry. Follow Hack Genealogy on Facebook (http://www.facebook.com/HackGenealogy), Twitter (http://www.twitter.com/hackgenealogy) and at http://hackgenealogy.com. 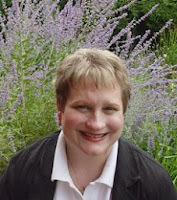 Lisa A. Alzo is a freelance writer, instructor, and lecturer with over 20 years’ experience in the field of genealogy. She earned a Master of Fine Arts degree in Nonfiction Writing from the University of Pittsburgh, and is the author of nine books, including: Finding Your Slovak Ancestors, Writing Your Family History Book, and the award-winning Three Slovak Women. Lisa has written hundreds of articles and her work has appeared in Family Tree Magazine, Family Chronicle, Internet Genealogy, APG Quarterly, among others. An internationally recognized speaker, Lisa blogs as “The Accidental Genealogist” http://www.theaccidentalgenealogist.com. For more information see http://www.lisaalzo.com. Thomas MacEntee is a genealogy professional specializing in the use of technology and social media to improve genealogy research and as a way to connect with others in the family history community. When he’s not busy writing blog posts, organizing the 3,000+ members of GeneaBloggers, teaching online genealogy webinars and more, Thomas MacEntee is busy in his role as “genealogy ninja.” Stealth is not easy, but he manages to get the inside track on emerging technologies and vendors as they relate to the genealogy industry. After being laid off from a 25-year career in the tech industry in 2008, Thomas has been able to “repurpose” his skill set for the genealogy community and loves to see other genealogists succeed, whether it is with their own research or building their own careers in the field.